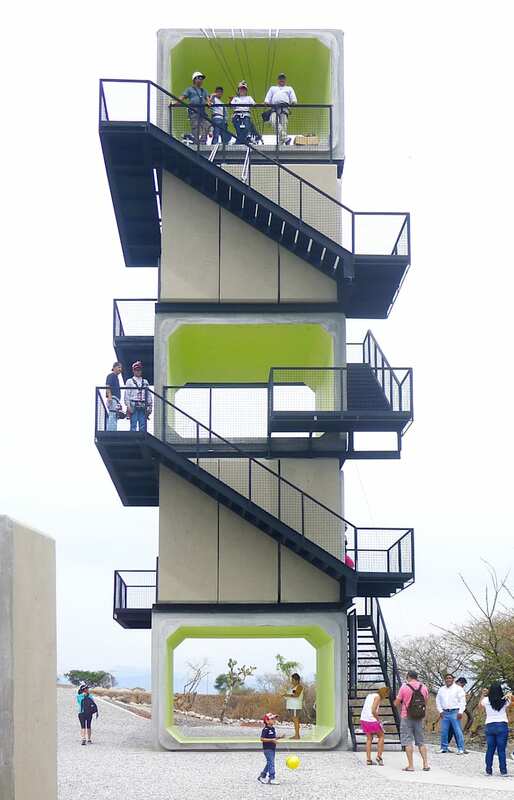 Constructor: Nat y Geo S.A. de C.V. 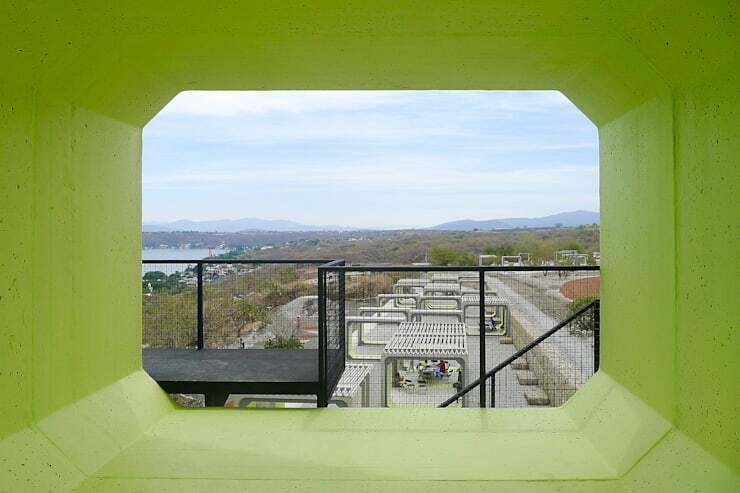 Arena Teques purpose is to promote tourism, culture and sports in Morelos, Mexico. 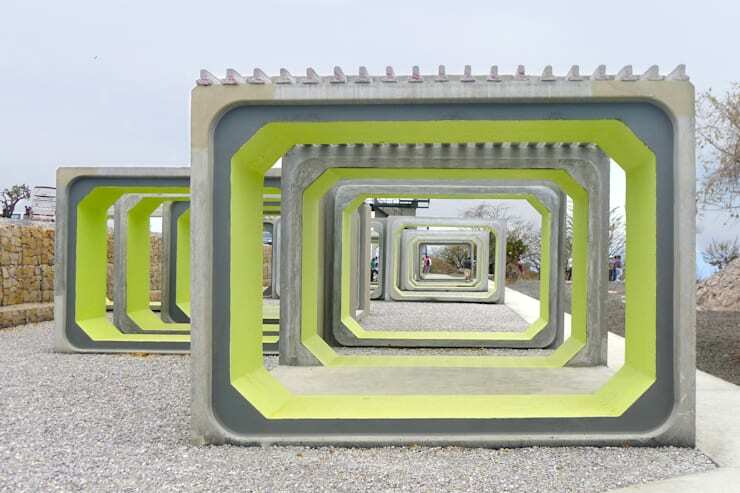 In a 10 hectares area, a linear park is proposed to promote recycling and a sustainability culture. 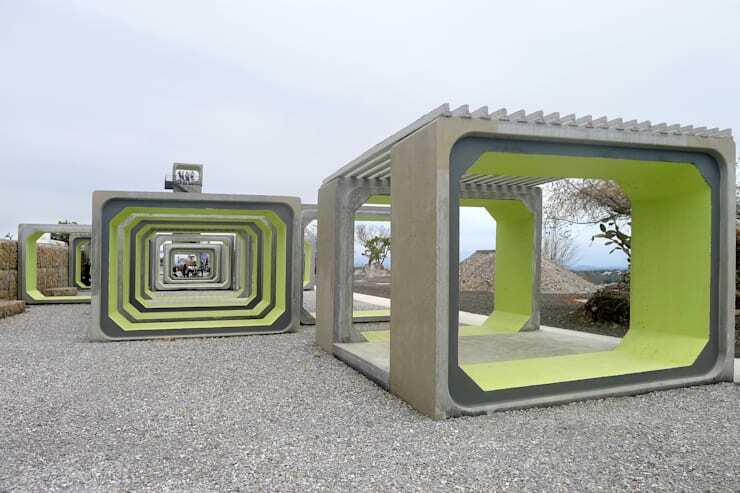 Prefabricated elements generate a multifunctional platform, favoring versatility with their module arrangement and quick installation, creating spaces where fairs, festivals, sports and cultural activities can be carried out. 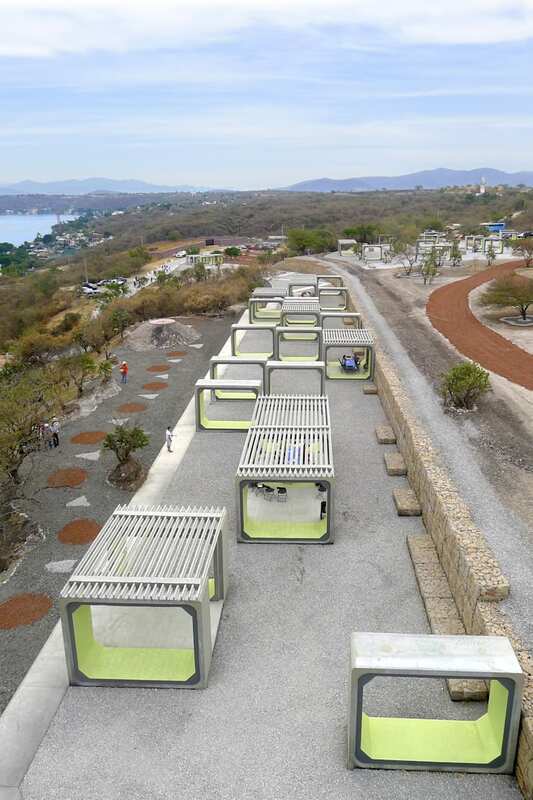 The intention of the Government of Morelos is to build spaces that people can occupy and make their own, connectivity spaces where visitors generate the program of each element in the path, with activities like biking and hiking amongst many others. 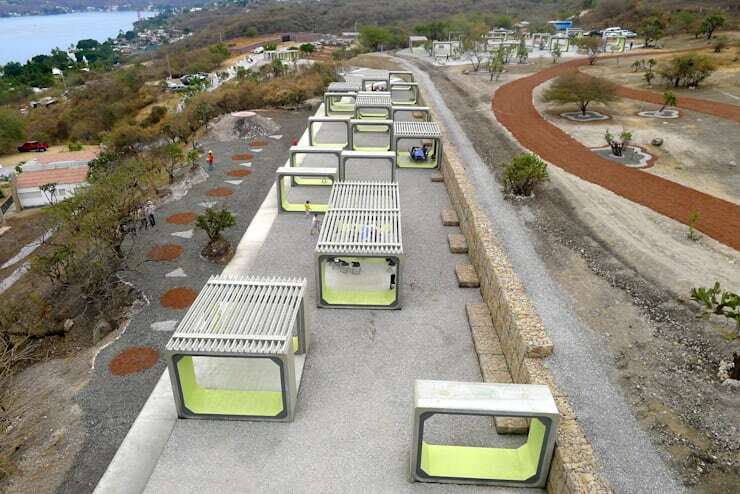 The project ends with a tower/zip line that favors the views of volcanoes and lake Tequesquitengo, as well as being the prelude to an outdoor auditorium.